After Azkals, Can Wesley So and Co. Be Left Behind? Relegated in background news amid the euphoria of the Azkals match with Kuwait and the arrival of NBA stars led by Kobe Bryant who played two games against the PBA stars and our Smart Gilas national team was a strong chess tournament participated only by all the grandmasters of our country. I hope the day will come when chess will also find place in our country's top sports priority. In chess, size does not matter. Therefore, this is a sport where Filipinos can excel and compete with the world's best. Historically, we did made significant strides in the international scene. Eugene Torre was Asia's and our country's first grandmaster. His fait accompli was done in Nice, France Chess Olympics sometime in early 70's while playing top board for the Philippine team. Considering that the top boards are normally manned by the best grandmasters of every country, such feat was indeed a great accomplishment. For a while, Torre has remained one of the top young grandmasters in the world. Our 2nd grandmaster, the late Rosendo Balinas, earned his grandmaster norm after topping and winning a strong chess tournament in Russia (USSR then), the home of the world's grandmasters. Before him, no other foreigner has won a chess tournament in Russian soil. After them, however, came a drought of grandmaster in the making. Meanwhile, China, Vietnam, and India have started to produce many and top grandmasters, including women. 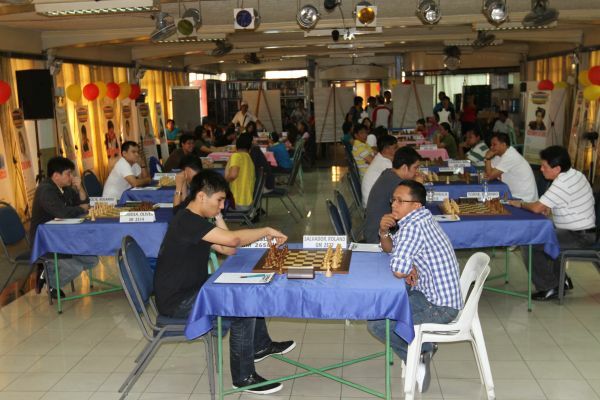 In recent years, thanks to the support by the Philippine Chess Federation led by its president, Prospero "Butch" Pichay, the controversial former congressman from Surigao, through various international exposures and local chess tournaments, our number of grandmasters has grown. Leading the pack is teenage sensation super grandmaster Wesley So from Cavite. For quite sometime now, he is our country's No. 1 player and one of the top young grandmasters in the world. Barely 17 or 18 perhaps, he has performed well in strong chess tournaments abroad, winning some, and/or placing among the top finishers. He has beaten a number of super super grandmasters like Gata Kamsky of the US and others. His ELO rating of 2670+, a super grandmaster level, is the highest rating a Filipino had. His performances here and abroad weighs more than other performances we toast. Wesley So, surely, should be our country's pride.